Have you ever wanted to create interactive web maps for your organization? Or how about the whole world? 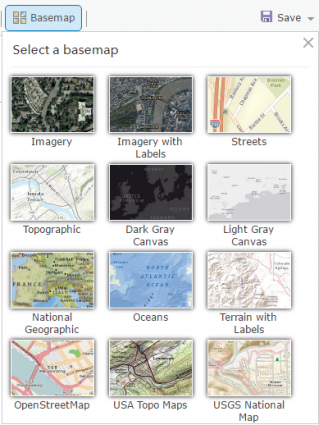 You can with Esri's cloud-based ArcGIS Online. Have you ever wanted to create interactive maps for your organization or for the whole world to see? With little effort, you can build them using Esri’s ArcGIS Online (AGOL). It delivers a powerful interface with ready-to-use base maps and data layers created by the global community. This in itself sends a powerful message with location in mind. But what else can you do? Let’s take a deep-dive into what Esri ArcGIS Online, followed by the how to. 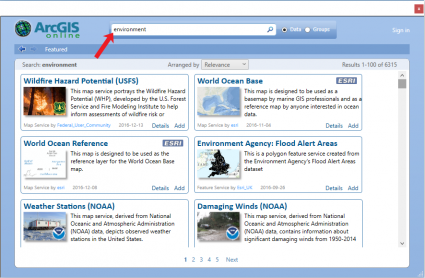 ArcGIS Online keeps the user in mind. It’s really easy to pick up and create beautiful 2D and 3D web scenes. Complete arsenal of geographic data” is an understatement. No one has really measured the sheer size of Esri’s ArcGIS Online GIS data repository, but confidently it’s the largest that exists today. All things considered, there is a tremendous amount of content for you and your organization as part of Esri ArcGIS Online. A small search for the environment brings you 6315 data layers. This is some pretty powerful stuff as the cloud-based warehouse continues to expand. Save your favorite data sets because it’s about search and discovery. Esri has become the ultimate collector of GIS data, in a good way. It never hurts the end-user to have updated data from reliable sources. Now, what can you do with all this data? Ok, you won’t be able to build an app for your grandma’s 1990s flip phone. But you can build some pretty neat smart phone and webmaps and applications for your target audience. And you don’t need to be a cartographer or a programmer to create one, even though these skills are very useful. Beautiful, realistic 3D scenes in your web viewer are now a reality such as this GPS map displaying a cyclists speed and heart rate. When going uphill, the cyclists speed tails off in purple and heart rate shoots up like a rocket in turquoise. There’s nothing better than telling your own personalized journal in a story map. Like a novel you can’t put down, story maps sets the tone with location bookmarks as if you’re going through a story book page-by-page. For example, the University of Minnesota addresses the issue of global food production in this brilliant Feed the World story map. For any time aware data, the time slider app can filter out data for specific time periods. It can show how earthquakes in an area has increased over time or how land cover has changed. Like a time capsule, the spyglass and swipe tools are built-in templates that let you time-travel in history. With the New York Spyglass web map, you can spy on the New York City of 1836 and today. Whether you want to explore your data with elevation profiles, viewsheds or route directions, Esri ArcGIS Online has an app for you. For those in need of statistics in specific areas, the dashboard Summary Viewer solution template is your solution. When you’ve hoarded your own collection of ArcGIS Online data (or your own private data), you can share with only your organization or publish it for the world to see. If you are your organization’s administrator, you can assign control for people and content. Store your public or private data to your favorites… With its secure sharing and collaboration tools, you can share your own data for your organization or the entire world. Your organization can create and join groups with control access to items shared publicly or within groups. The capabilities in ArcGIS Online almost appear limitless as new developments like Esri Insights are emerging regularly. The power of GIS is now online with ArcGIS Online for users with all skill levels. Esri gives a generous 60 days to try for free with 2 GB of storage. However, it does have a limitation on the number of features you can upload. Overall, Esri has invested a lot of time and effort in making this something for any end-user to pick up and run with. It’s time to give credit where credit is due, and this is a big winner in our books.